The Helmsley Building (Warren & Wetmore, 1929), formerly the New York Central Building and headquarters of the great railroad nicknamed the "Water Level Route", stands astride Park Avenue, which passes through the portals on both sides of the building. The NYC's passenger tracks, which extended to Chicago, began and terminated at Grand Central Terminal, just to the south and past the more recently built Met Life Building (Emery Roth & Sons, Pietro Belluschi, and Walter Gropius, 1963), formerly the Pan Am Building--so did two late, great transportation companies surrender their claims to the skyline. The Helmsley Building is now being lit in festive colors--this evening it was in patriotic ones, in honor of the inauguration--by an energy efficient lighting system. Stan Musial, who died yesterday at 92, wasn't a larger than life character like Babe Ruth, Ted Williams, or Mickey Mantle, or a dominant personality like his St. Louis Cardinals teammate Bob Gibson. He was, like Harmon Killebrew, famous simply for being very good at his game. "Very good" is an understatement; he was one of the best of his era, which extended from eight years before I was born until my senior year of high school. A friend of mine said losing him was "a total crusher." There's "nobody left from those golden baseball days of the 40s and 50s but Ralph Kiner." My friend says he now feels "like some kind've World War I vet wearing his medals and ribbons telling some group of semi interested kids about the Battle of the Somme...life in the trenches and such." 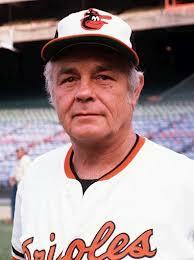 Earl Weaver, who also died yesterday, at 82, never played in the majors. He came to fame as manager of the Baltimore Orioles, serving as their skipper for seventeen years, during which the Birds won four American League pennants and one World Series (they lost a series to my Mets, before they were my Mets, in 1969). Unlike me, he wasn't fond of "little ball"; the business of advancing runners with bunts, sacrifice flies, and stolen bases. 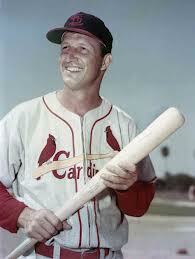 He loved the long ball, especially with two or more runners on base, as well as pitching and defense. My favorite Weaver quote is his advice to a player about to go to bat in a close game with one out and a runner on first: "If you even think you might hit into a double play, have the good sense to strike out." 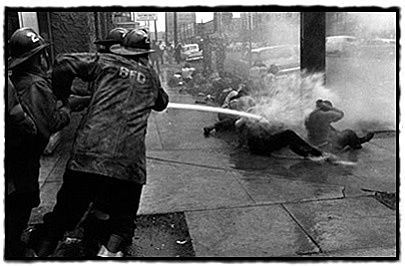 A year ago I posted an excerpt from Dr. Martin Luther King Jr.'s Letter from Birmingham Jail. This morning The Rev. Stephen Muncie, Rector of Grace Church, read the letter to which Dr. King was responding. It was itself a response to the peaceful demonstrations, seeking an end to segregation and the extension of full civil rights to the descendants of slaves, that were going on in Birmingham, Alabama at the time. The letter counseled the demonstrators to have "patience" and to refrain from further public activities, condemned the influence of "outsiders," and commended the local media and law enforcement authorities for their "calm" response (see photo above). The letter was signed by C.C.J. Carpenter, then Episcopalian Bishop of Alabama, along with his Bishop Coadjutor, a Roman Catholic auxiliary bishop, two Methodist bishops, a Baptist minister, and a rabbi. The text of the letter, followed by Dr. King's letter, is here. As I listened to Steve's sermon, I had a disquieting thought. If I had been in Bishop Carpenter's position at that time, I would have been tempted to sign that letter. Carpenter, as Steve told it, was no racist troglodyte. He had made statements supporting efforts to end discrimination against African Americans. In doing so, he was risking the displeasure of many, if not most, of the white Episcopalians in Alabama at that time. To have declared himself as supporting the demonstrators would have invited demands for his resignation or replacement. It would also have estranged him from his fellow white denominational leaders and from business and government leaders. My instinct in similar situations has been to try to find a via media, a way if not to please everyone at least to avoid utterly alienating anyone. My besetting sin has been to value tranquility over justice. Update: for more on this subject, see Diane McWhorter's insightful column in today's New York Times. Photo: K.C. Johnson, "From Brown to Birmingham"